Chicago Social Empowerment is a cohort of Drive to Trust partners who partner with CSRA to strengthen their relationships with donors, members, clients, volunteers, and partners using experiential social media. CSRA organized Cohort One because they support causes that have multifactor impacts on Chicago’s citizens, especially people often termed “underprivileged.” Moreover, their stakeholders have things in common, so cohort members can learn from each other and accelerate their competency and results with experiential social media. What Does the Cohort Do? 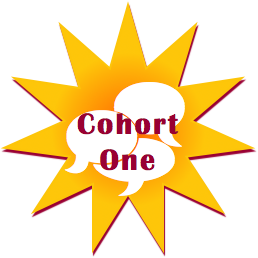 Each partner in the cohort works with CSRA on an experiential social media project in a one-to-one relationship. We mentor partners’ employees (and volunteers) in experiential social media. In past engagements, experiential has produced 200-600% more business results than traditional social media. Even normal social media generates a growing portion of all support at many nonprofits, so imagine increasing that—a lot. In some cases, experiential is transformational. Our goal is usually to increase participation of partners’ donors, supporters, volunteers, customers and other stakeholders. Experiential works in a very different way from traditional social media, promotions and marketing. We build partners’ competency, so they become self-sufficient. We use a mentoring model because showing empathy for people and interacting with unusual sensitivity is not “book learning”; however, most people find that learning by doing is very natural for them. We complement partners’ learning on their projects with cohort collaborative learning sessions. Since partners serve similar people in complementary ways, these sessions can increase the depth and breadth of their learning and results. Only one partner per category is allowed, so partners can share without worrying that rival organizations can learn from their experiences. Learn more about experiential social media projects and requirements on the Drive to Trust home page. Also see Nonprofits and Experiential Social Media: A Special Affinity for my insights into experiential’s game-changing ability for cause-focused orgs. These agencies/nonprofits/groups empower people to move around without cars. Ditching cars frees people from significant costs, helps them be healthier through physical exercise, and cuts many kinds of pollution. By educating and supporting people, these agencies make cycling, walking and transit more practical. They support people in changing car behaviors while getting things done like transporting themselves to work, their kids around and hauling things. Most of these activities can be done well without cars but often require some creativity (“hacking” ;^). Partners remove friction to empower people. Impacts: Did you know that the average monthly total cost of ownership for a new car is $600, a five-year-old car is $355, and a ten-year-old car $217? These after-tax costs are astronomical for people living near or below the poverty line, and the cheaper the per month cost, the more unreliable the vehicle. Read more in Alt Transport’s LinkedIn announcement. Chicago families find themselves caught in a vice: one or both parents works multiple jobs, so children have to fend for themselves for food. Food deserts are rife in most underprivileged neighborhoods. Processed food drains these families’ pocketbooks in three ways: 1) its price at the register is high, 2) it fails to satisfy for more than a few minutes, and 3) it negatively impacts health. But people have to eat, and parents struggle to juggle everything, so kids end up eating expensive unhealthy food; in effect, families pay dearly to weaken their health. Cook to Health partners show people how to cook and feed themselves throughout the day with inexpensive wholesome food that really satisfies. They include principles of home economics and show kids and parents how to hack groceries, cooking and eating on the go. Another huge benefit is that people love the joy of creating and being practical in the kitchen, and they develop amazing self-esteem. Impacts: wholesome food’s impact on people’s health and kids’ learning is well documented, so Cook to Health is life-changing in the short and long term. Doing better in school has a huge impact on opportunities for kids, and their siblings and families. Creativity, joy and pride are also life-changing: for example, showing people how to use omelettes/tortillas/frittates to do creative things with all kinds of leftover ingredients enables them to make a bunch of food for next to nothing, and food that transports well for lunches or food after school activities. They’re quick and easy to make. It’s also established that packaged and “quick service” food drives obesity, so drastically curtailing these foods has life-changing impacts on kids and families. People love creating in the kitchen, so cooking and basic home economics is transformational for the whole family. Read more in Cook to Health’s LinkedIn announcement. From a social impact perspective, women’s wellbeing is virtually synonymous with Chicago families’ ability to thrive. There are few families without mothers, and too many without fathers. Women empower is a very wide focus, but my general idea is to support women in strengthening their lives as well as their families’ and communities’. The childrearing buck usually stops at women, who often work multiple jobs to make ends meet, so they often need logistical help. Also, too many women are victims of domestic or sexual violence. And they have to figure out how to keep themselves and their families healthy despite the U.S.A.’s unpredictable and spotty healthcare “system.” In addition, many women have kids who are obese, diabetic, highly allergic or are otherwise unhealthy, which strains the whole family. And most of these health issues are chronic. Impacts: Women are the bedrock of families and communities, so their emotional, physical and economic wellbeing is the cornerstone of every community of every size, every family, every community, every city. Women’s vibrancy and empowerment reverberates in multiple ways throughout our city. Read more in Women Empower’s LinkedIn announcement. Although Sustainable Development is a bit more arm’s length than other categories in Chicago Social Empowerment, these partners often skew toward helping communities that have faced chronic underinvestment in their economies and infrastructure. Many of them are in underprivileged parts of Chicago. I am delighted to include Sustainable Development also because it tends to take a long-term view and to treat root causes of how inequality often manifests. Sustainable Development partners focus on several complementary areas of urban development. First, they approach development from a holistic “system level” point of view. Their programs usually focus on a mix of transit, green energy/cleantech, ecology and culture in the context of planning, development and interventions. Impacts: In general, Sustain-Dev mitigates insidious infrastructure friction that disproportionately affects underprivileged communities. For example, more convenient, disability-enabled transit empowers people to work and volunteer. More efficient homes leech away less in utility costs while improving the building’s value. Stormwater solutions that work at the block level prevent work and family disruption and property damage while (hopefully) resonating with the natural ecology of the land. Culture can transform frictions within a community into the joyous energy of working together and appreciating diversity. Families have been getting smaller and more scattered for several generations, and pets often fill emotional gaps in individuals’ and families’ lives. There’s widespread scientific evidence for pets’ impact on people’s physical health as well. People of all ages are healthier when they live with pets (except those with allergies, or course). At the same time, there are too many “stray” or otherwise unwanted animals, and Animal welfare partners help animals find new homes, transforming the lives of animals, people, families and communities. As any dog owner will tell you, pets often help people within communities to connect with each other because they’re all walking their dogs, and most dogs love to see other dogs. Impacts: Emotional wellbeing of individuals, families and communities. Saving lives of animals. Parents teach their kids how to care for a pet, so this teaches responsibility. Pets improve the health of the elderly and people with chronic health conditions like high blood pressure, neurological diseases, diabetes and others. Mental Illness Recovery partners help people experiencing mental illness and their families to navigate what most experience as a very frightening and mysterious journey. You probably know what I mean because you (or someone close to you) have probably been touched by mental illness. I know I have. Various mental illnesses affect people in different ways. Many are chronic, so they challenge people to discover “a new self” and to live within that self’s limits. Partners have diverse ways to empower people with various parts of their recovery journeys, including emergency interventions, housing, getting treatment, supporting families, supporting employers, and supporting careers. Impacts: 20% of all Chicagoans experience mental illness, so that’s a huge portion of our population. When we account for the families around them, the number of people affected doubles or triples. Mental illness is also a major cause of crime, drug abuse and suicide. One in five children is a huge number, and their whole lives are at stake. The impact of mental illness reverberates into communities and the economy. And understanding it is very empowering: unlike physical illnesses, mental illness is often subtle and hard to understand, from the individual and family perspective. Read more in Mental Illness Recovery’s LinkedIn announcement. Community Health partners help the (approximately) one third of Chicagoans who are uninsured, underinsured, low-income, or in a “medically underserved [geographical] area. They use some form of alternative delivery model to mainstream clinics, health centers and hospitals. They are funded in various ways since their patients rarely pay market rates for the services they receive. Impacts: People’s health is the core infrastructure of their lives, so getting treatment is often life-changing. The United States is virtually alone among so-called advanced economies in not having universal healthcare, so millions of Chicagoans have (at least) one hand tied behind their backs since poor health prevents them from working, improving themselves through education, connecting with people in general and contributing to their families and communities. As with Mental Illness, one family member in poor health affects the whole family and the community, so the emotional and financial costs mushroom. Generations of “consumer culture” have leeched knowledge and skills out of Chicagoans. People have become dependent on products and services that are costly at the register and foster dependence. These are woven into people’s lives and force them to make life decisions that limit how they live. Many people are trapped in a web of consumption without being aware of it. This stands in sharp contrast to how people lived for centuries, when they did almost everything for themselves. Frugal Living partners help people to “take their lives back.” They offer an alternate picture to the hyper-consumption that’s glorified by mass media, which is paid by promoting consumption. Although Frugal living usually involves most of this cohort’s other segments, it’s distinguished by approaching people’s lives holistically. The aim is to support people who want to reduce their overall consumption, based on their lifestyles and goals. Impacts: Giving people the opportunity to live freer. It’s well acknowledged by psychologists, sociologists and anthropologists that people who are self-sufficient live happier. Dependency creates emotional malaise. Reducing consumption reduces waste of all kinds: products that aren’t necessary, packaging, electric power, fossil fuel consumption, the list is endless. People can live freer because they aren’t chasing after their consumption: most Americans, regardless of income, spend their lives trying to pay for what they’ve already consumed: Americans’ median retirement savings was only $5,000 in in 2013. Many people have NO retirement savings. Here are ten more financial symptoms of overconsumption. 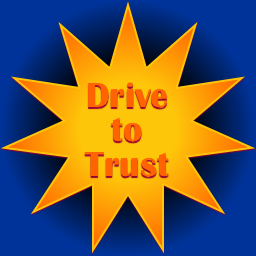 One of the key design principles behind Drive to Trust cohorts is that their partners can accelerate their learning and results by collaborating in sessions facilitated by CSRA. That said, I accept partners on a “rolling admission” basis, so partners will join at various times, and I design collaboration sessions around this. Although the sharing and collaboration are optional, I am allowing only one partner per category unless the partner who joins the cohort first approves another partner in its space. This “right of exclusion” only applies to the cohort and lasts for one year of signing. I’m in continuous discussions with partners in all categories, but I’m always open to meeting more potential partners, so I invite you to contact me with your suggestions, including agencies or organizations that don’t fit a category on this page but that empower people in similar ways. I’m also seeking apprentices (contract CSRA team members) to work on projects in these categories, so I’d love your suggestions for them, too (maybe even you!). To learn more about apprentice opportunities, check out CSRA’s Apprentice Program fact sheet, and get the run-down on Experiential Social Media. As partners sign on, I will update this page to let you know who’s involved. Thank you for your interest in Drive to Trust!